Apple I Phone is a delightful mix of fun and learning. It's not just a communicating device, it is lot more. Along with exciting integrated features, there are lots of cool applications which will not only educate, but also entertain your children. There are countless apps like Jacob's shapes, Mixamajig, Wheels on the bus, Cookie Doodle, Peekaboo barn, Park Math, Kids song machine, Preschool adventure and Letter Writer Oceans. These apps are specifically designed to enhance the knowledge of your kids and make the learning experience joyful and interactive. Now transform your IPhone into a virtual instructor and let your child derive maximum benefits out of this learning process. If you are really keen to know about these exciting kids apps, then this article will give you a clear and detailed idea about the top and highly recommended kids learning apps. Come; let's take a glance at the benefits of these learning apps. This is a fun little app to keep kids engaged in learning the spelling. Kids can discover new words and be excited about learning to spell them. The is a hidden gem app that is available for free. Using this app you can choose your own words in the test and add additional words of your own with a voice recording. I am sure this can be a really useful app for quickly testing spelling knowledge and getting better at spelling words by practicing it. When you are just in search of an entire preschool set that can teach your lil tot reading, rhyming, writing, alphabets and spelling, then ‘Super Why’ is your final destination. Integrated with catchy and amusing theme songs, this iPhone app presents the hot favorite animated characters of your lil Johnny. Not only your iPhone would come into some worthy usage but also your kid will enjoy the game play and such process of learning. This app abets exploring matching words for all letters of the alphabet in aquatic-themed background for just $0.99. With the help of an animated guide, your lil tot will learn to draw each letter with each passing day followed by a reward and gifts of poems and stories. 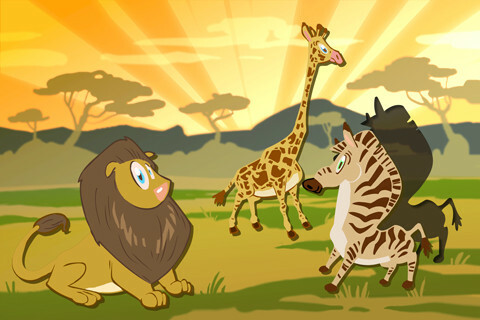 This is a purely educational app with the splash of vivid colors to please your child’s eyes. It teaches every letter and word to the young learners in the course of a series of fun packed activities. Your small wonder can do a great many things with them, like word scrambles, word finder and letter matching with immense interest. Want to enroll your kid into the 2020’s Spelling Bee contest? Well you can coach your kid from now only with a little help of the engaging iPhone app of Wurdle. The app follows the tradition of finding words just like Boggle game. Amazing sound effects of the game will boost up your interest as well. Let your tot play it in the untimed mode and let them earn the acute expertise in spellings and reading. Available at US $ 1.99, Jacob's Shapes is an extremely fun-filled app for kids to learn about shapes and objects. There are varieties of puzzles available in this app which will keep your kid engrossed and cultivate an interest to learn about shapes and objects. Get this app downloaded from ITunes and introduce your child to world of interactive learning. Once your child succeeds in completing this puzzle, it will display “Great job” along with an applause sound on the screen. This app is filled with 20 exciting puzzles and is highly recommended. The free version of same app is available at Jacob’s Shapes Lite. With a huge popularity from the throng of parents, definitely this app is a must have for every iPhone when you have little family members. As the name says, this app allows toddlers to recognize shapes and tap on them to get virtual sticker reward in revert. This app renders the classic collection of popular songs with an updated look and feel. A single tap on the blue gear and there comes another song for your kid. "Old McDonald", "I'm a Little Tea Pot", "Row Your Boat" and many more rhymes are there so that your lil tot can sing along. Shell out only $1.99 and who knows, maybe your kid would be the next Rockstar! Wheels on the bus is the most exciting and highly recommended I phone application for kids. Developed to offer an interactive and joyful learning experience for toddlers and kids studying in kindergarten, this interactive app helps your kid to read and listen to children's songs in various languages which includes Spanish, French and German. Apart from this, it also allows your kid to record his song. Overall, it is a best playtime app for your kid. This free app has two fun ways bingo and challenge to encourage and teach the kids about mathematics. The beginner level can be used by toddlers and advanced levels can be used by bigger kids. This is a simple free math fun game app for matching numbers, kids will become more comfortable with number as they play. This is really useful little app for your kids to calculate their pocket money savings in near future. This will encourage them to manage their money as well as learn maths. A simple and free app to create hundreds of worksheets for your kids to practice maths basic. With this easy to use app kids can learn by themselves. Simple app for teaching kids the number in english, spanish and hindi. This also support recording feature to hear it in your own voice. This app is good for toddlers to become comfortable to numbers. It helps them improve on number recognition and comparison. This kid’s app teaches the tidbits of basic math using playground tools. Here kids can learn to add, subtract, count, sort and can make patterns. This interactive math series also includes popular nursery rhymes, such as- “This Old Man" and "Here We Go Round the Mulberry Bush." This Is a free ipad app with a large collection of books for different age groups of kids and toddlers. This contain many entertaining and educational books to keep the kids engaged. This is another book reading app with some free books available for reading. There are a thousands of other paid books available ensuring a wide variety of content. New books and videos are frequently added to the already existing large collection. This is a read along kids book reading app with a good collection of books. This app also supports word highlighting feature that helps kids develop word identification and faster reading skills. With a good set of books this app also keeps track of your kids favorite books and encourages reading habits in your kid. The books are organized with intuitive pictures and sample free parts of book to make sure before buying it. With loads of interactive elements and activities, this app will make your little baby learning a lot of things. Let your cutie pie playing with a kitten, a puppy and a rabbit. He or she will definitely chuckle while coloring, playing memory matching, solving puzzles and tracing. For every curious child, this app is just the apt one. Amazing dino photos will appear in mosaic form and thus will build up a T-Rex image. There are almost more than 800 photos to help your child take an adventurous ride this time. Yes, the same thrill of the Jurassic park! Tap on every image and get to know the details about the featured creature. Skinned with high-end graphics, Peekaboo barn is a sure shot entertaining app. Available at $1.99, this app empowers your kid to make out the name of the animal by hearing its sound only. Indeed, a best in class app for your child! Available at $ 0.99, Mixamajig is a highly entertaining app which will keep your kids glued to the iphone screen. This app is more creative oriented and is designed to tap your child's creative skills. In this app, your child has to create a character named 'Kooks' by using 200 different body parts. This app is totally a fun-filled learning exercise for your kid. If you want to see your child growing as a creative genius, then you cannot afford to miss this app. This is a flash memory game especially designed for kids in an uncomplicated manner. He or she need no luck to win the game but has to rely majorly upon his or her memorization power. Rewards will be given instantly for keeping the last saw identical pictures or numbers in mind. Of course, a good practice to increase your kid’s brain power. This is a mouthwatering fun packed app exclusively designed for kids. A planet of cookies will be presented to the lil user to pick the dough and make a different and delicious cookie. A cookie cutter shape and a rolling pin to spin the dough with make the cookie preparation easy for tots. A number of cookie making fantasies like frosting, piping, sprinkles and candies are available with this app. This app will teach your kids to learn about different colors, shapes, body parts, sounds, numbers as well as basic animals. Own this app and bring fun in your Apple iPhone. So, basically you and your kid will never run out of entertainment on the go from now onwards at the same time learn a lot of things! Achilla Singh is a well known author and has written articles, online shopping mall, Apple iPhone., and many other subjects. You have done a good job. I like to add some more kids learning apps to your list. I really appreciate your research efforts in creating this article. +AmK Thanks for your suggestion, we are working on a list for android users. I will make sure to check this one. Great share, these applications which you have provided here is very useful for me because i want to find a method by which my children takes study as a fun and learn using a new way, i really like your post thank you so much for sharing this nice tutorial.